Applications are invited for the appointment of Information Commissioners in CIC. Department of Personnel Training (DoPT) by a circular dated 25-02-2014 invited applications for the appointment of Information Commissioners in Central Information Commission (CIC). 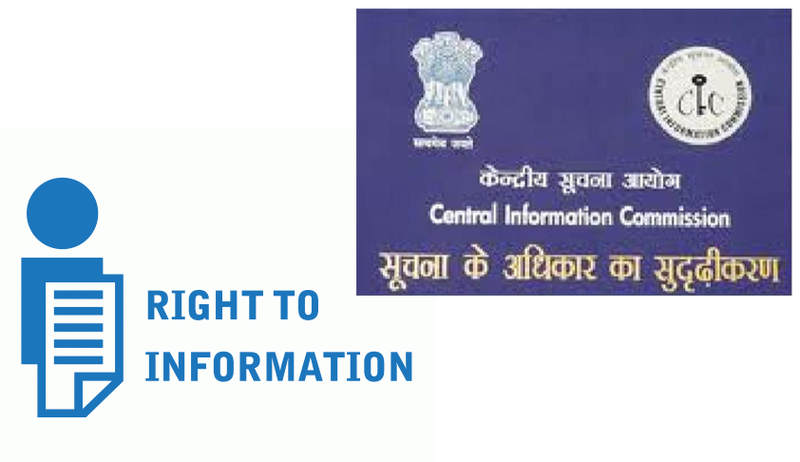 Under section 12 of Right to Information Act 2005 Central Information Commission shall consist of one Chief Information Commissioner and a number of Information Commissioners not more than ten. Presently there are only nine including eight Information Commissioners and a Chief Information Commissioner. Department has proposed to appoint more information commissioners. Applications are invited in a prescribed profoma from eligible candidates having eminence in public life with wide knowledge and experience in law, science and technology, social service, management, journalism, mass media or administration and governance. Applicants shall not be a Member of Parliament or Member of the Legislature of any State or Union territory, as the case may be, or hold any other office of profit or connected with any political party or carrying on any business or pursuing any profession. Office for a term of Information Commissioner is five years from the date on which he enters upon his office or till he attains the age of sixty-five years, whichever is earlier. Salary and allowances are payable as prescribed by the Act. Well known RTI Activist Mr. Subash Chandra Agarwal alleged that said circular had invited applications for ‘more’ Central Information Commissioners without specifying number for which selection is to be made even though presently two more Commissioners can be appointed and it seems that DoPT circular is to make a ground towards hearing of a matter on the subject listed in Supreme Court in coming days. He further noted that earlier also there had been occasions when Central Information Commissioners are appointed as result of court-matters. Instead of involving precious time of courts so frequently on the matter, system should be to make Central Information Commission always working with full strength of eleven inclusive of Chief Information Commissioner in view of pendency of more than 30000 petitions. Selection of new Information Commissioners should be done prior to vacancy likely to be caused in the manner selection of Election Commissioners is done. Since two more vacancies are to be there in recent months, selection of four new Central Information Commissioners should be made with younger two out of four selected may respectively assume office after retirement of Sushma Singh and Rajiv Mathur on 22.05.2014 and 23.08.2014 respectively; says Mr. Agarwal.